The Susan G. Komen Ozark Affiliate announced today that John and Brandy Furner will serve as the honorary race chairs for the 2018 Komen Ozark Race for the Cure on Saturday, April 28, 2018 at Pinnacle Hills Promenade Mall in Rogers. John Furner is currently CEO of Sam’s Club. 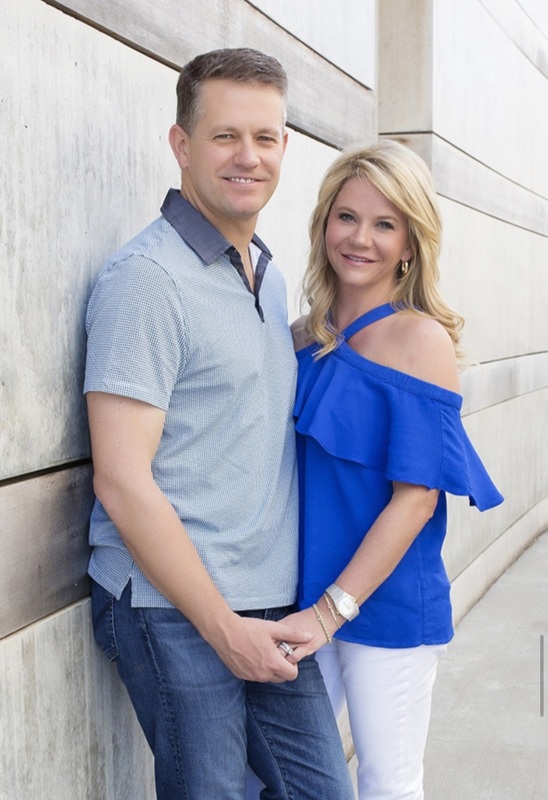 He and his wife, Brandy, are active members of the Northwest Arkansas community, and also the proud parents of four children. The Komen Ozark Race for the Cure raises funds and awareness for the fight against breast cancer, celebrates survivors, and honors those who have lost their battle from the disease. Participation in the event and individual fundraising help provide free services for every step of the breast cancer journey, including education, outreach, screening & diagnostic services, emergency assistance, transportation, and research. This is the 20th Anniversary Race held in Northwest Arkansas. On April 28, 2018, thousands of people will come together to celebrate the strong women and men who have fought or continue to fight this disease. 75% of all net proceeds are invested in the local community and provide education, screening, and treatment support services to women, men, and families in the 10 counties served by Komen Ozark. 25% of the net race proceeds will be invested in breast cancer research through the Susan G. Komen Research Program. Race registration for teams and individuals will open soon. Events include a Survivor Breakfast & Parade, timed 10K and 5K runs, a non-timed 5K and a one-mile fun walk. Registration will also be available for Paws for the Cure, Kids for the Cure, and Virtual participant. The Ozark Affiliate of Susan G. Komen is dedicated to combating breast cancer at every front. Since its inception in 1998, the Ozark Affiliate has awarded over $10.5 million to local organizations that provide breast health education and breast cancer screening & treatment programs for medically underserved women. In addition, over $3 million has been invested in Komen National’s Research and Awards program in search of finding a cure. The Komen Ozark Affiliate’s service area covers Benton, Boone, Carroll, Crawford, Madison, Newton, Sebastian, and Washington Counties in Arkansas, and Stone and Taney Counties in Missouri.